Missouri spring turkey season topics as reported by many new to their Association. Many cite Missouri’s high harvest rates. Their belief is with as many wild turkeys as there are chances of success are greatest in Missouri than in other states. Our approach to Missouri spring turkey season is different from “playing odds”. Our success is each hunter has access to multiple flocks. If one does not work due to pressure or mistakes then move onto another. A case of covering ground to find what is sought rather then just have one spot hoping luck comes along. 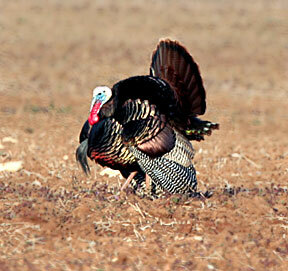 Missouri spring turkey season is as good as it is due to large concentrations of wild turkeys. A seemingly simple statement. Examining why turkey populations exist to high numbers within Missouri lends to a better spring season hunt. Missouri turkey wealth is due to several environmental limiting factors. Far more than I can accurately describe from many turkey biology based studies read, turkey hunting or behavior seminars attended. However, one of two key environmental factors specific to Missouri spring turkey season being well accepted are chick in egg reproduction is enhanced or degraded by humidity far more so than any other condition. Missouri’s geographic location it turns out has optimum humidity combined with average temperatures enhancing a high hatch potential. One facet why humidity makes so much sense to us locals is nearby localities of large cattle feed lots. Ones which hold thousands of animals, are much further west by several hundred miles. Any farther east, feed lots are small to infrequent. A main reason is further west humidity is low enhancing cattle health when confined in large numbers in a small space. Largely low humidity prevents hoof/leg problems associated with wet ground. A region of low humidity that allows these large cattle yards is where Eastern Turkey range drops off with Rio Grande Turkey range increasing. Contrasting, Rio’s do not survive reproduction in Missouri. This difference is due to Missouri’s humidity – temperature combination which supports Easterns so well prevents Rio Grande reproduction. A description that any animal has optimized conditions allowing enhanced survival/reproduction. Other areas of less quality conditions are limiting factors of why one area has one type of animal while another region does not. About turkeys it is all chick in egg reproduction factors. Knowing what those conditions may be with their effects simply makes us understand why Missouri is as good as it is to Eastern’s to why Rio Grande’s exist where they do. A second factor is Missouri’s mild winters do not stress hens with cold temperatures or snowfall as occurs in other locations. Mild winters allows more effective winter food forage due a lack of snow cover. A factor which further contributes to in-egg hatch potential by allowing higher year round survival of more yearling hens to reproduction maturity. A turkey survival effect continues further with hens being physically stronger after winter allowing enhanced egg reproduction potential in terms of higher number combined with increased egg strength. Simply more food, less severe environmental conditions, most notably weather effects, makes for strong adult hens that produce strong offspring. They report harvested turkeys being of heavier body weight. A tom typically weighs between 22 to 27 pounds. Or, on average more than any tom they have earlier harvested in their home state. A chance for a “trophy” tom, or a refinement of a hunter’s experience, is one more attraction. All resulting from high egg hatch rates from strong hens makes Missouri spring turkey season as good as it. Making good scoring toms by weight, beard or spur. Same tom at right and below. While live turkey pictures show a lot with text adding context. Open range Easterns without big timber. A not so small point about agricultural land hunting. This is often a new experience for many. 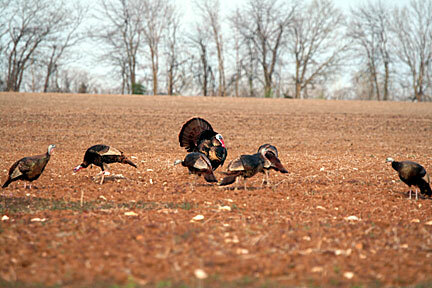 These turkeys are in a bean stubble field before it was worked to plant. Pictures were taken early April. What seems like barren ground is flock attracting. Showing live wild turkey pictures on such land does much to illustrate preferred habitat. Or, flocks spend more time in grain fields than under trees. If it were not for many traveling hunters who read our web site or call us we would not overstate this point throughout our discussions. Reality has shown us to get it across multiple times as a majority of Association hunters travel in from out-of-state. Often from big woods states. Often those not prepared to maneuver grain farmland. We will never claim to be experts. We simply enjoy spring turkey season. We make it as much of a study as we can so as to enjoy our hunt more. A farm which works for us due to water in a year round creek. Combined with a heavily wooded section of creek bottom. Then a grain crop rotation all fit together to make a good turkey lease. Take out one of these elements will probably cause us to drop it for another. It is a matter of not standing still with any land. We will always seek that which is productive, delete from inventory which does not yield a good hunt. All leases will change over years. Do it yourself turkey hunter is frequently drawn to many of Missouri rivers. Such is shown below. It is not impressive. Overall, Missouri River Basins, known for waterfowl, is composed of three individual sub basins that covers 2/3’d of Missouri. 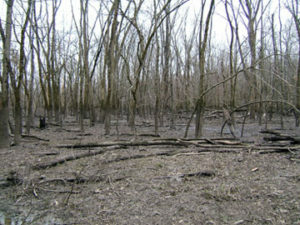 Many hunters seek out these river bottoms for perceived better habitat. These bottoms can be pretty bleak places. Pictured above is but a tributary. No nesting cover. No food. Poor roost trees being small, limited side branches. Knowing good habitat is as important as knowing a wrong place to turkey hunt. Better bottom turkey habitat has large roost trees. On crop field feeding areas with nesting grass. Not what is pictured above. What MAHA has done is taken Missouri spring turkey season combined it with un-pressured private land leases where every hunter hunts alone. Success of our approach has been routinely demonstrated by comparing Missouri’s state wide spring harvests compared to licenses sold to MAHA hunters to their reported total Missouri MAHA lease turkey harvests. A difference of Missouri public or knock on door hunters statewide have a harvest rate of 0.5 toms per license sold. MAHA hunters ranging from 1.1 to 1.4 toms per hunter. However, this statistical comparison is skewed. While it cannot be denied MAHA hunters have advantage of hunting controlled private land. State wide hunters hunt an entire range of available public, knock on door to lease land. It is a MAHA hunter that makes a substantial difference in harvest rate success statistics. His key factor is he is a self guided hunter who has paid money for land access. Self guided hunters are more dedicated. Correspondingly more skilled than average hunters. Include those who pay is it brings a bit of enhanced seriousness to a hunt. It gains advantage of private land. Once there hunters concentrate on their hunt due to believing in increased potential for success. Other hunters on public or knock-on-door land hope for success as much as hope no one else comes walking in front of them. To test this self guided hunter idea any one can compared all turkey hunters he knows to where they hunt. Then their turkey harvest success rates. Most will agree those who hunt public lands include those who may exert less effort, having lower total harvests as well as successive years of success. MAHA folks are screened for their ability. Meaning he is an accomplished hunter. Noticed we did not state he must be an accomplished turkey hunter. Just a hunter that understands the perils of self guided hunts – no guarantee anything peril. The few inexperienced turkey hunters we gain each season are typically crossover type hunters. Those skilled in one discipline trying a new discipline for adventure of exploration. A type of hunter who always finds success as he is in his hunt for his hunt, not that success is instant. This person also has an advantage with MAHA’s buddy program where he can team up with an experienced MAHA member/turkey hunter for mentorship. All these advantages further inflates our success rates. Overall, when it comes to Missouri spring turkey season every hunter can expect a good day in blind or field. That is in terms of eyes on plenty of turkey with opportunity harvest. Most experienced folks report little difficulty filling both tags. New turkey hunters, those with three seasons or less experience, report it was not too difficult to adapt with most harvesting at least one tom per trip. What may be of more interest are disadvantages. These come from many of new to MAHA or Missouri hunters. What they identified about the Missouri spring turkey season when comparing it to their experience elsewhere. While we identified these next topics as turkey hunting disadvantages, that identification itself is probably a poor choice of word. We use them as they are what was told to us. We forward the thoughts as completely as we can in this multi hunter compromise of an article. First, limitation of one tom opening week of Missouri’s spring season. Second, a short three week season. Again, this is comparatively speaking regarding their other state experience. 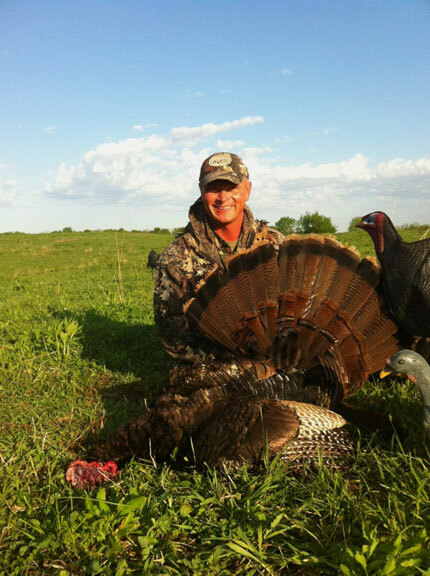 The one tom per hunter on opening week of Missouri’s spring turkey season caused many to come its second or third week of the three week season. Or, when two toms may be harvested. Missouri’s first week is largely a local hunter time period. Or, a time of few hunters. A vocal group were hunters who went youth only season. Largely a challenge of scheduling their youth hunter during school spring breaks. Most of these parents would not consider allowing their child to miss school for a hunting trip. In these same discussion parents choice of when travel was when their child had break time. It often included long weekend fly-in hunts. How available time overlaps with state seasons more often caused selection of which state to hunt. Missouri’s spring turkey season did not always fit school break schedules. Another group were those with vacation scheduling issues. Missouri’s shorter seasonal window was too constricting compared to their need to sustain an income. These hunters simply chose to hunt whenever they can find time to get away from work. In this regard MAHA was a good fit with its system of allowing all to hunt on their schedule. An optimum return for most in this group when to hunt is during the last two weeks of Missouri’s spring turkey season overlapping a hunt with a quick road trip to an Association’s neighboring states for another turkey or two. Effect of these hunters is largely of those seeking to fill all five spring tags on one hunt. Or, hunting that period of each spring season when Missouri overlaps that of Iowa and Kansas. When to scout has been a frequent discussion. Folks often try to balance a combination deer and turkey scouting trip. An objective often is deer scouting first, then limited turkey scouting. Scouting during late winter is to locate hen flocks. Second, nesting areas of tall grass or weeds. Finding such cover near a roost, crop feeding/flydown field, water, makes for good potential spring spot. Finding a bachelor group of toms while interesting will most likely not be a place to hunt for spring season. These bachelor groups will seek out hens that have their own separate home range. Seasonal flock movement pattern is frequently described to us by landowners telling us when they see turkeys on their farms. For the most part farmers do not realize turkeys change locations based on seasons. 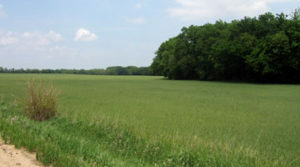 Landowner observation comments are related to just months when they have been observed. That may be outside of spring season. Overall, there is no way to deny Missouri spring turkey season value to those who enjoy field time. Those who seek their best hunt for highest scoring trophy Eastern Turkeys. With this in mind a choice of where to spend anyone’s majority of time may be split. First is between those who seek their best scoring tom. Another are those which seek high number of hunter to tom encounters. If one of these is your decision criteria than it is easier to decide when to schedule a self guided hunt.